About 100 years ago Henrietta Swan Leavitt helped prove the existence of other galaxies. 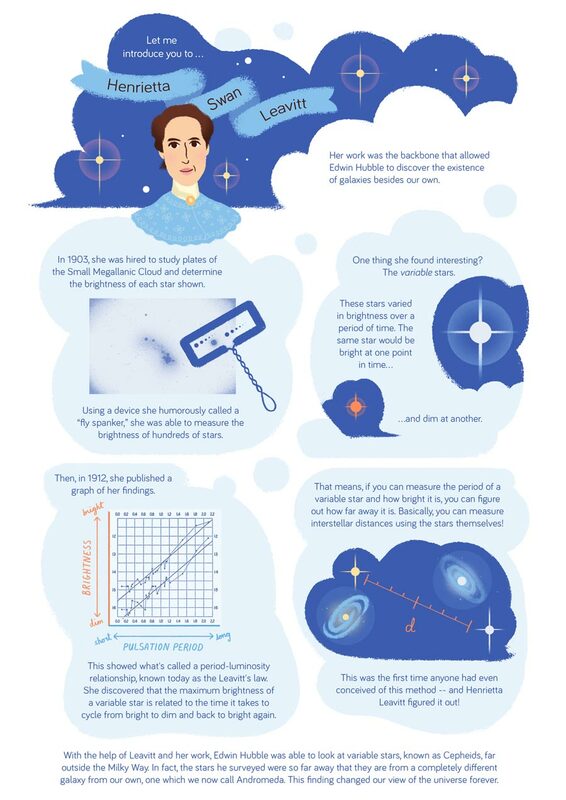 She is still inspiring astronomers today (infographic). 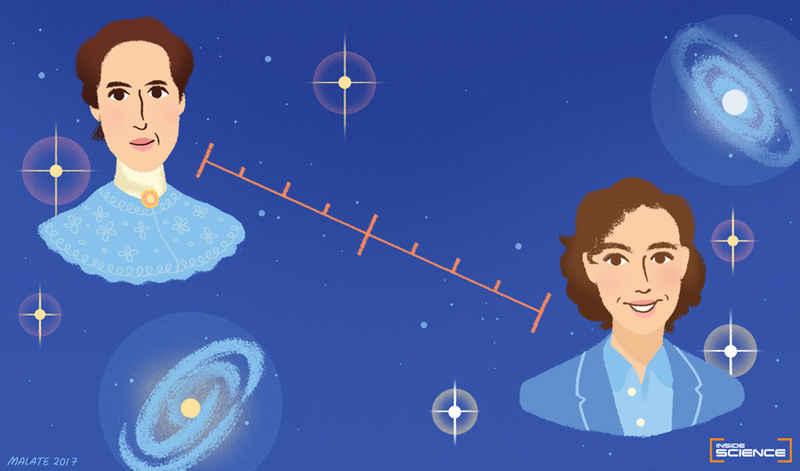 (Inside Science) -- In the early 1900s, American astronomer Henrietta Swan Leavitt made a discovery that would lead to major changes in our understanding of the vastness of the universe. Her work provided a tool that Edwin Hubble later used to measure the distance between our planet and the Andromeda galaxy. Even today, young astronomers are still building off Leavitt’s research to explore new frontiers. 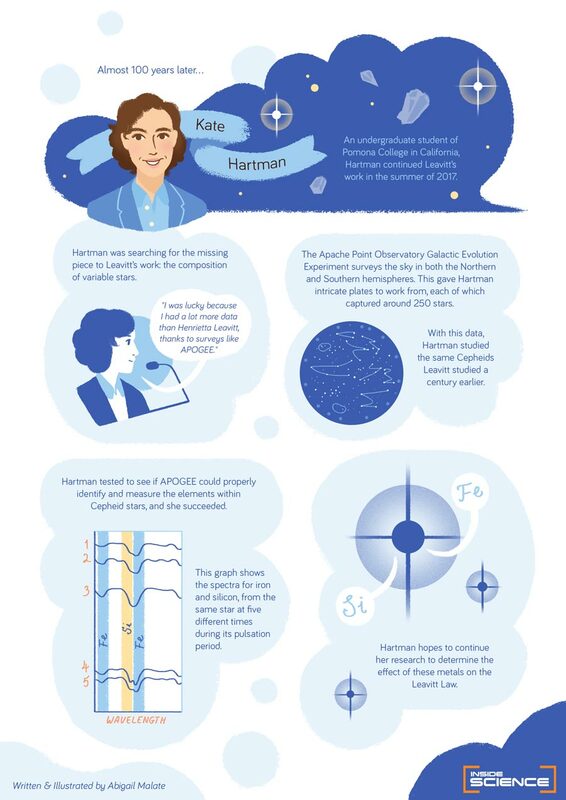 Check out the infographic below to learn more about Leavitt’s observations, and to meet Kate Hartman, an undergraduate student who is carrying on Leavitt’s legacy. Abigail Malate is a graphic designer at the American Institute of Physics, which produces the editorially independent news service Inside Science.